The Sculptor Gethin Hinshelwood, used to work on large scale, life-size trophy heads of animals. 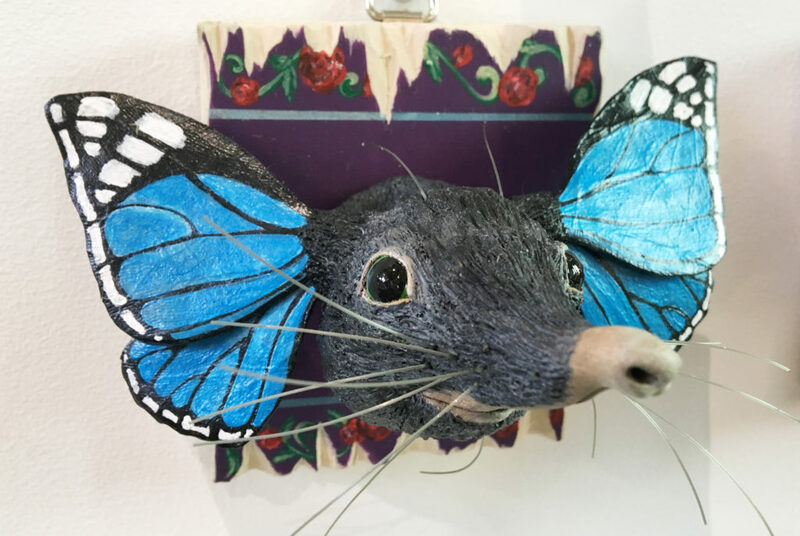 His new work now being exhibited at Barnabas Arts House is on a much more miniature scale, producing exquisite and unusual heads of creatures. 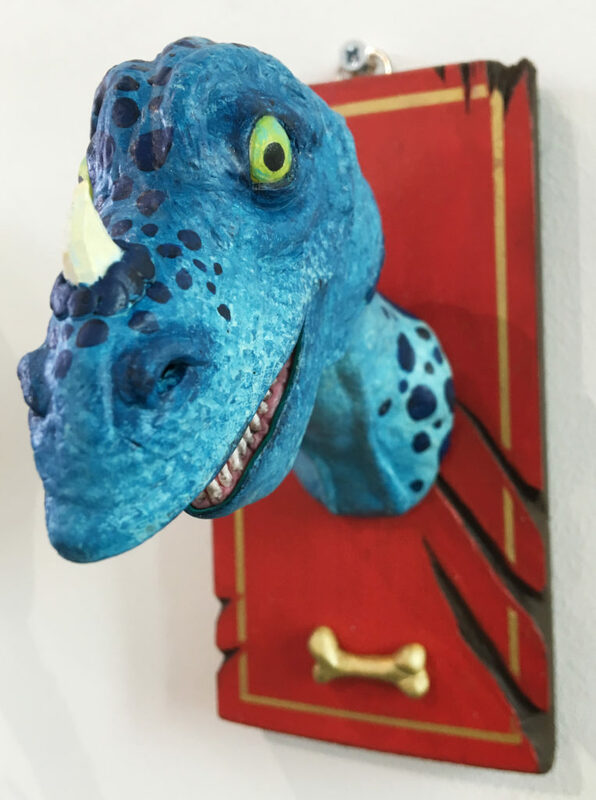 The results are a collection of whimsical yet plausible creatures exuding personality and emotion. 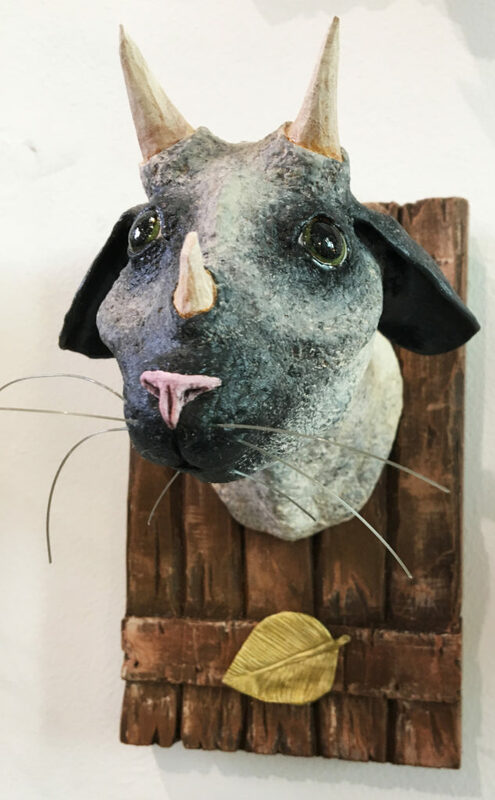 These works are on display now & throughout August in the main gallery. Philip Muirden – 100 Images – these works are moving like hot cakes!